The Kyiv Zoo will be marking its 100th anniversary this October, Interfaks-Ukraine reports, citing the press service of the Kyiv City State Administration (KMDA). According to Denys Bass, the deputy head of the KMDA, the city will allot nearly 38 million hryvnias to construct additional buildings at the zoo. 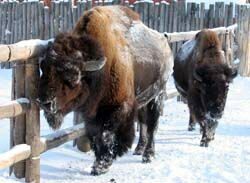 “The administration of the Kyiv Zoo has drafted a development plan for the next six years and a set of technical-economic justifications for crucial investments,” Bass explained. There are plans to replace obsolete engineering networks and communications, restore the entry group, and complete capital construction and reconstruction works that are already underway. One of the plans calls for opening a bear pit, lion cage, and new zebra section, putting the apes’ pavilion in order, and improving the climatic conditions in the elephant and giraffe enclosures. Mykhailo Ivanov, the Deputy Director General of the Kyiv Zoo, who is responsible for construction, said that the zoo has not been refurbished since the early 1990s. The existing construction dates to the 1960s and 1970s, while some pavilions were built in 1928 and 1930. Most of the construction work and renovations are slated for this summer. Thanks to the new procedure for allocating funds, there is now an opportunity to analyze the current situation of project-budget documentation. The Kyiv Zoo also plans to build new playgrounds, renovate cafes, repair fountains and benches, and introduce additions to the zoo. A program of events will be drafted to mark the jubilee of the zoo.